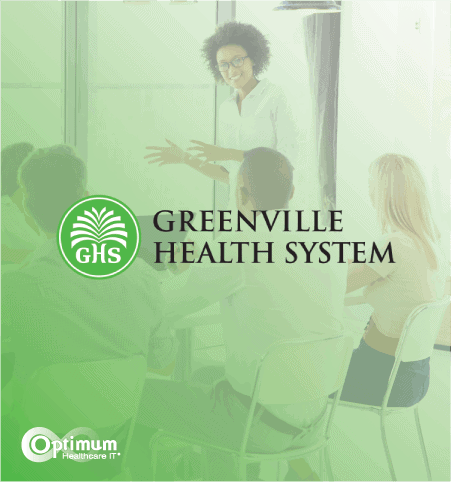 Jacksonville Beach, FL – Optimum Healthcare IT, a Best in KLAS healthcare IT consulting services company, today announced the successful completion of level 1 call center support for The Guthrie Clinic Epic Go-Live. 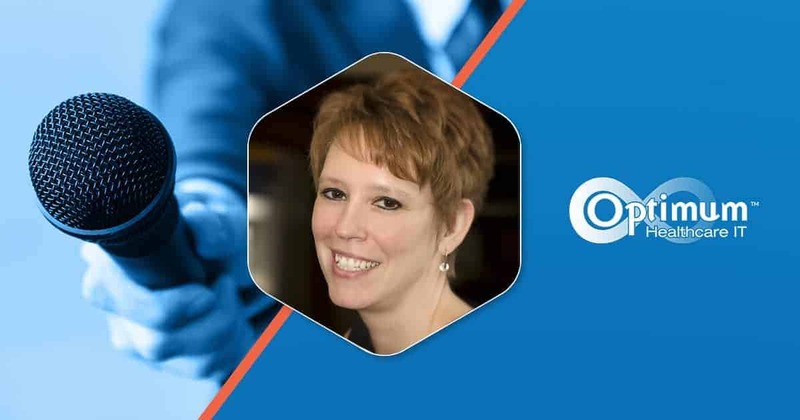 Beginning in January 2017, Optimum Healthcare IT provided an Epic call center staffed by experienced call center experts with direct experience supporting Epic applications. 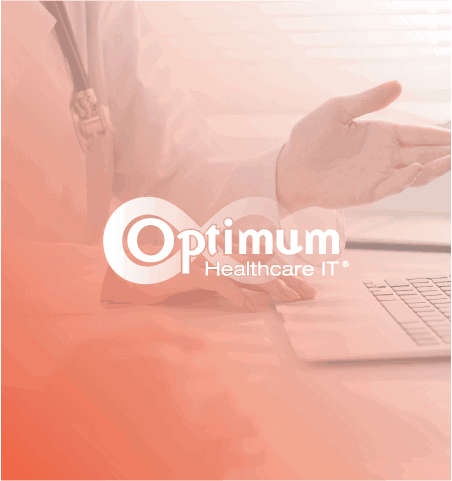 Optimum’s call center provided operational EHR application support which included receiving and recording calls, initial triaging, skill set for each Epic module, level 1 support and ticket routing based on defined policies and procedures. “Optimum was part of the family. Every request was handled promptly and professionally. 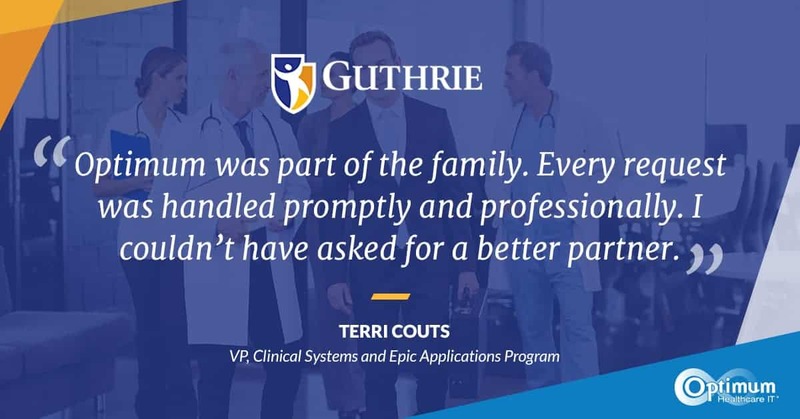 I couldn’t have asked for a better partner.” said Terri Couts, VP, Clinical Systems and Epic Applications Program. The call center provided support for the following Epic modules: Ambulatory, Anesthesia, ASAP, BedTime, HIM, Kaleidoscope, OpTime, Radiant, Willow Inpatient, Epic Inpatient, Beaker, HB, PB, Claims, and Grand Central. This project concluded with successful knowledge transfer to maintain services and support for first call resolution and successful training of all staff directly involved with the Epic Call Center. 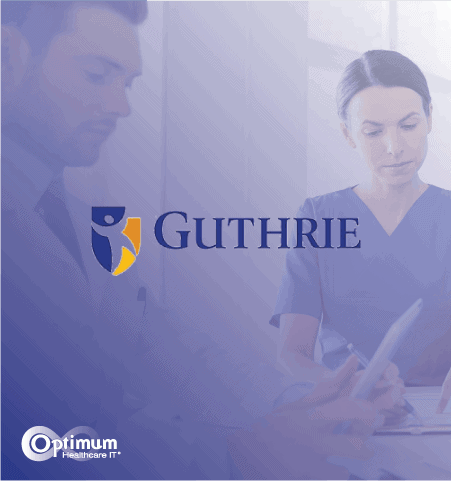 Guthrie is a non-profit integrated health care delivery system that currently includes four hospitals, more than 295 physicians and 175 mid-levels, 32 regional provider offices in 23 communities, home health, and home care services, and a research institute. Guthrie manages more than 1,000,000 patient visits a year. Guthrie is located in north central Pennsylvania and south-central New York. Guthrie is a patient-centered facility with the motto “Every patient, every time.” To learn more, visit www.guthrie.org.